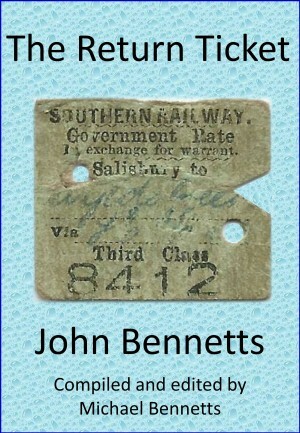 The ticket belonged to my father John Bennetts, a signaller in the Royal Artillery during World War 2, and was the unused half of a return ticket between his home and his UK army camp. In March 1942, he was captured in Malaya by the Japanese Army and worked on the Railway of Death in Thailand. Both he and the ticket survived and he was repatriated to the UK in October 1945. In later years, my father wrote of some of his experiences on the way out to Singapore, in the jungle, and in the POW camps. This book is his story, based on his writings and supplemented by what happened after he returned to the UK in 1945.